Finding a reliable used truck for work can be overwhelming. There are so many options to consider. But at Car Credit used car and truck dealership in Tampa, finding the right used truck no longer feels like a job. Listed below are five easy steps to help you find the most reliable used truck that will meet your needs for work. Trucks can be considerably more expensive than cars due to their build, larger size, and capacity to serve many work-related functions. Purchasing a used truck will help make your investment more affordable. If you are purchasing a used truck for work make sure to speak with your business’ accountant to get a working budget. 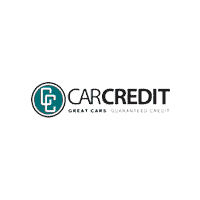 Also at Car Credit in Tampa we will find the right loan based on your budget regardless of your credit; Car Credit has a guaranteed approval program. Whether you need a 4-wheel drive versus a 2-wheel drive depends on what you will be carrying and what weather conditions you expect to encounter. A truck with 4-wheel drive can cost more money upfront but is more beneficial if you know you need the extra traction for off-roading, instances of snow, or situations where it can be slippery such as a boat ramp. A 2-wheel drive truck is more cost effective in regards to fuel and maintenance. They also tend to have a better ride and handling, but lack the extra traction. Consider how you will use your work truck and what it will haul and this will help you determine if you need 4-wheel drive versus 2-wheel drive. Trucks range in size from light-duty to medium-duty to heavy-duty. Once you have determined what you are hauling, find out how much it weighs (along with the weight of the trailer). This will help you determine what size truck you need. The size of the truck is important because if you purchase a smaller truck than what you will be carrying than you will have trouble towing. On the other hand if you purchase a truck that is too big you will have wasted money on the purchase price as well as fuel each time you fill up the tank. Larger trucks also are harder to park in smaller parking spaces, parking garages, and small driveways. It is a good rule of thumb to slightly overestimate your requirements and to have about 10% more capacity than you need. Determining what size bed and cab you need will be greatly influenced in what type of work truck you need. There are three cab sizes: regular, crew-cab, and mega-cab. A regular cab is the classic work truck and offers a single row of seating with limited space in between. A crew-cab offers 4 full-size doors and a roomy backseat. The mega-cab offers even more rear legroom. Generally speaking, the size of the cab, and vice versa, can affect the size of the bed: the larger the cab the shorter the bed length and the larger the bed the smaller the cab. Bed size can vary by manufacturer but most are 5.5 feet, 6.5 feet, and 8 feet. A good rule of thumb in choosing the bed length is to think of standard sizes of lumber or other construction material you may use. Sheetrock and plywood come in 4×8 foot dimensions so you may need a longer cab to accommodate. Choosing the right size engine can be a balancing act between power and fuel economy. When looking at truck engines there are many options such as a v-6 versus a v-8 or diesel versus gas. For example a v-8 engine is larger and provides more power and performance than a v-6 but it also requires more gas and is less economical. A diesel engine is also better for towing because it provides high-end torque for pulling heavy loads at lower speeds. Diesel fuel has a higher energy density than gasoline, which means less fuel is needed to generate the same power. Economically speaking, a diesel engine is more cost efficient after the purchase, but it can cost more upfront when purchasing. When deciding what type of engine is needed for your work truck, make sure to calculate how many miles a year you think you will drive your truck. A good rule of thumb is if you will drive more than 30,000 miles it is more cost efficient to have a diesel engine and if you drive less than 30,000 miles it is more cost efficient to have a regular gasoline engine.